The adaptation of Caroline Kepnes’ 2014 novel, Netflix thriller YOU has it all – beautiful people, hyper-modern drama and every character inhabiting some sort of grey area. The show’s first season has won praise – but what is it about the series that makes it so addicting? And how much of this praise is really deserved? Spoilers will be kept to a minimum here, but read on at your discretion. 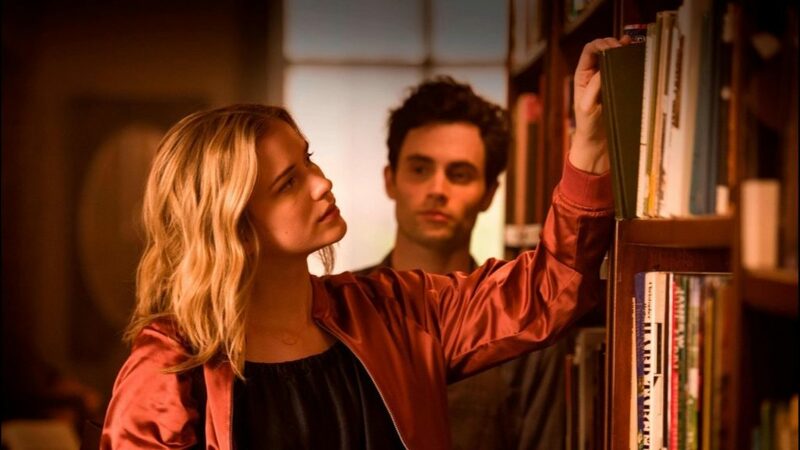 Joe Goldberg (Penn Badgley from “GOSSIP GIRL”) is a young, hot bookstore manager, who one day meets a young, hot wannabe writer – Guinevere Beck, aka just ‘Beck’ – (Elizabeth Lail) who wanders into his store. He is instantly attracted to her; we hear his oily thoughts as he notices her clothes, her hair, her lack of a bra; of course, she is doing it all for attention. When she hands him her credit card for payment, it is obviously because she wants him to know her name. 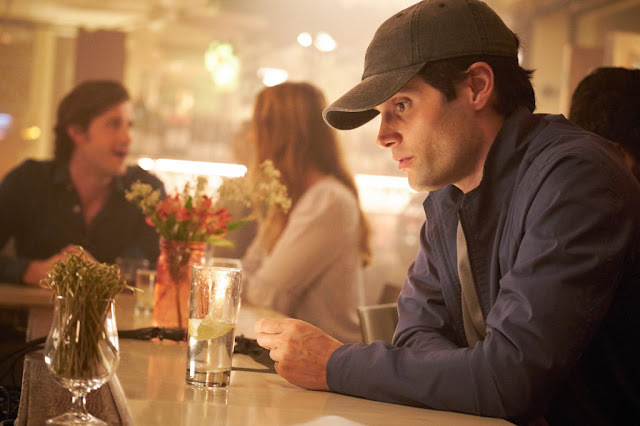 From the first moment, we are inside Joe’s head, stuck in there through the series as we follow his increasingly extreme actions towards starting a relationship with Beck. On at least one occasion, we manage to escape from his mind and jump into Beck’s narration for a little while, but otherwise we are always privy to what Joe is thinking. This is very important to the series as a whole. Joe stalks and manipulates Beck, slowly but surely taking control of her life and driving her into his arms. But it’s not as simple as Joe would like – and things threaten to crumble around him. “You”, like its lead, Joe, has many faces. 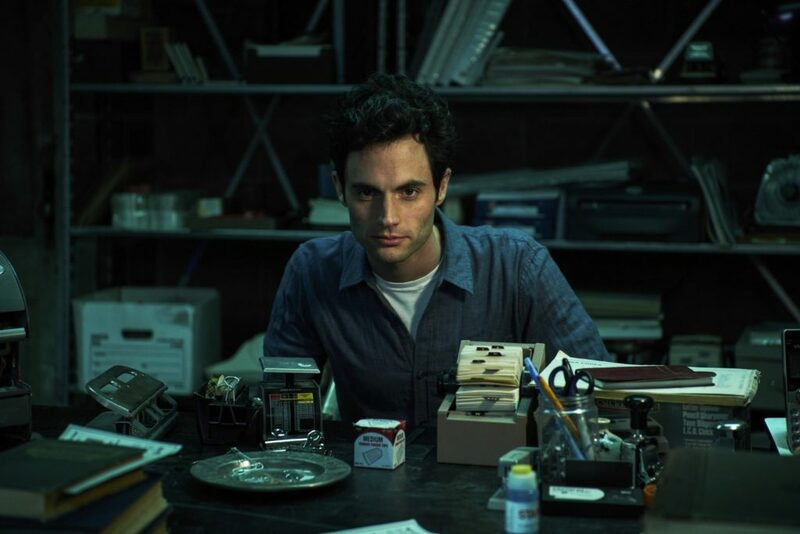 At first glance, the show is about a creepy stalker who uses social media and violence to control the woman he is infatuated with – and it is that – but since we are riding along in Joe’s head, we are compelled to see events from his perspective. We are inclined to be sympathetic to Joe, to understand him as he ‘justifies’ his every action. Joe may not be the ‘good guy’, but he is still our protagonist. The way this is handled reminds me very much of “DEXTER” – his narration has that same polished, calm cadence that makes you believe in him, and yet the things he does make you want to scramble out of his headspace as fast as you can. It’s a cognitive dissonance that the show encourages, to its credit. Beck, the object of Joe’s obsession, is also presented as being in conflict with herself. Like Joe is both good and bad, Beck is presented as both ‘virgin’ and ‘whore’; Joe covets her like a precious flower that needs to be cared for and protected, but Beck also frequently cheats on and lies to the ones she loves; she is no angel herself. 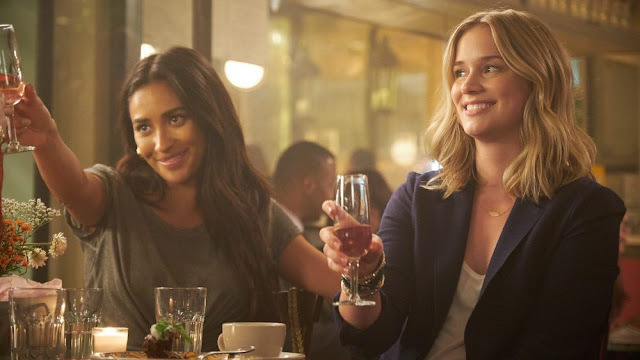 Beck cannot be a perfect damsel who we root for 100%, much like Joe cannot be framed as entirely villainous, because the show wants to have its cake and eat it too – the cognitive dissonance goes both ways: we love and hate Joe, and love and hate Beck (even though she is inarguably the victim here). When watching this, we are in Joe’s head, but we also are him – as we are Beck. Each of the two leads represents different segments of the audience, or the same people at different stages in their lives. We are forced to relate to one or both of them at every turn. Some see themselves in Beck – the struggling writer, the one who’s smarter than her peers and desirable to all because she’s ‘not like other girls’. We both long for and fear Joe; in many ways, he is the perfect boyfriend; he will do anything for you – make breakfast, listen to you, comfort you…kill for you. Others see themselves in Joe – the ‘good’ guy, the ‘put-upon’ guy, the man who swoops in to save the broken girl, only to be stepped on time and time again. We keep fighting for love but love keeps kicking us down. I read one of the Google reviews for this show where the guy literally said his main takeaway from this was to not fall for girls like Beck anymore – even though she is the one who is being stalked and controlled. It goes to show how the series manages to have such a wide appeal – because it crawls under the skin in different ways for different people. Whether the effect it has is ‘good’ or not, it doesn’t matter; every person who watches the show will take something unique away from it. Although I have a lot to say about the series, I certainly have my problems with it too. I won’t dive in too deep at this point, but characters are often overly frustrating when they do not have to be, and we come to a point where almost everyone is entirely unlikeable. Beyond that, the narration can be a little much at times and choices made by certain characters feel unrealistic and obnoxious. It’s a shame, because these factors (plus a rushed ending) hurt what would otherwise be an excellent stalker-meets-girl story. “You” is a modern thriller that is often frustrating, and yet frequently engaging. Ultimately, I find the implications more thought-provoking than the show itself, but it’s still a good, creepy watch. With only ten episodes so far, it’s a quick one too if you want to start binging and catch up. 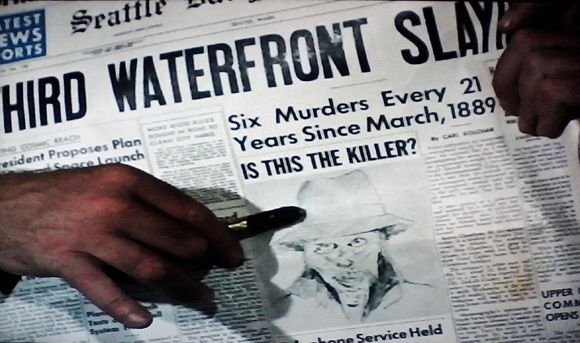 In this follow-up to the first Kolchak adventure, The Night Strangler moves the action to Seattle and gives us another creepy killer for our intrepid reporter to hunt down. So, does this sequel live up to the first? Or is it dead on arrival? A year after being driven out of Las Vegas, Carl Kolchak (Darren McGavin) coincidentally reconnects with his former editor, Tony Vincenzo (Simon Oakland) at a bar in Seattle. He easily convinces Vincenzo to rehire him – and on his first assignment back, he is set on the trail of a new series of murders. The victims this time are exotic dancers, popping up strangled to death. This is horrible enough, before we discover that there are also traces of rotten flesh left around their necks. Furthermore, they’ve all been trained of a few ounces of blood…. Now a firm believer in the supernatural, Kolchak recruits a researcher named Titus Berry (Wally Cox), who discovers a similar group of killings back in 1952. Pushing further, they realise that similar murders are occuring every 21 years since the 1800s. With the police against him, Kolchak must put together the clues and find the supernatural killer before he vanishes again without a trace. One of the greatest detriments to the first movie was the lack of surprise; it’s advertised all over that the killer is a vampire – and just moments into the episode, you know which direction it’s going in anyway. One of the greatest strengths for its sequel is that I had no idea what the creature was going to be. This made the story more engaging and kept me hooked into the mystery. Not only that, but there were more comedic elements to balance out the tone. The horror elements also feel stronger than before. Maybe I’ve been desensitised to vampires thanks to over-stuffing in pop-culture, but I wasn’t as creeped out by that one as I was with this. While it’s still nothing completely new, it doesn’t have to be, either – it’s all about the way it’s framed. 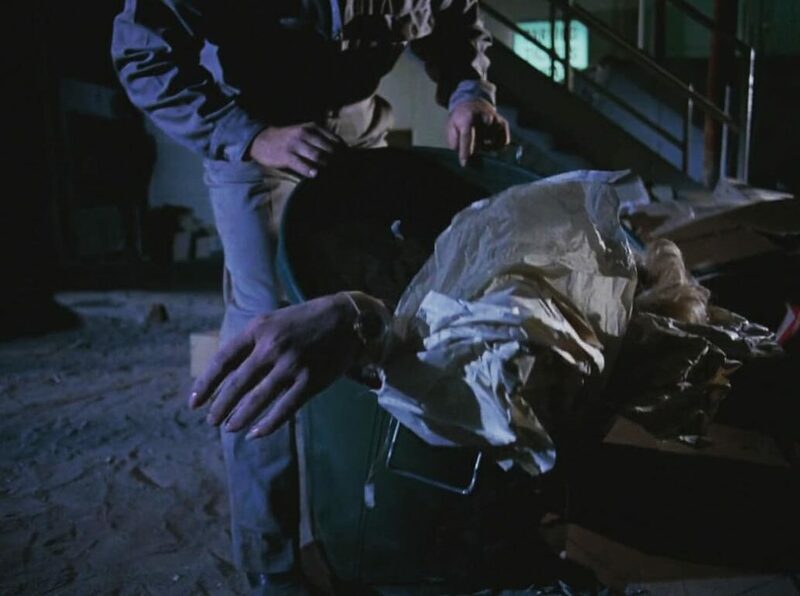 I get the sense of a slightly higher (though still small) budget this second time around, too; the corpses are paler and spookier, and the killer’s got a bit more oomph to him. Not that much, because it’s a TV movie, but still. However, while there were a lot of improvements made, large chunks of this film retread basic plot points from the first: the victims are all young women of a certain ‘type’; Kolchak’s boss is back and angry as ever; no one believes Kolchak, etc. So, even though I feel this second film does a better job in many ways, its lack of originality in other regards is a serious shame. Could’ve been better – could’ve been worse. It’s a 1970s TV movie, so it wouldn’t be fair to expect the world. Even so, what we did get was a fun, spooky, supernatural procedural. Plus, the slick 1970s neo-noir style will always be a hit with me. Keep your eyes on this space, dear reader, as we will soon be diving into the short-lived TV series. If these reviews have inspired you to give the TV movies a try, they are currently available on YouTube, or for sale in the regular places. 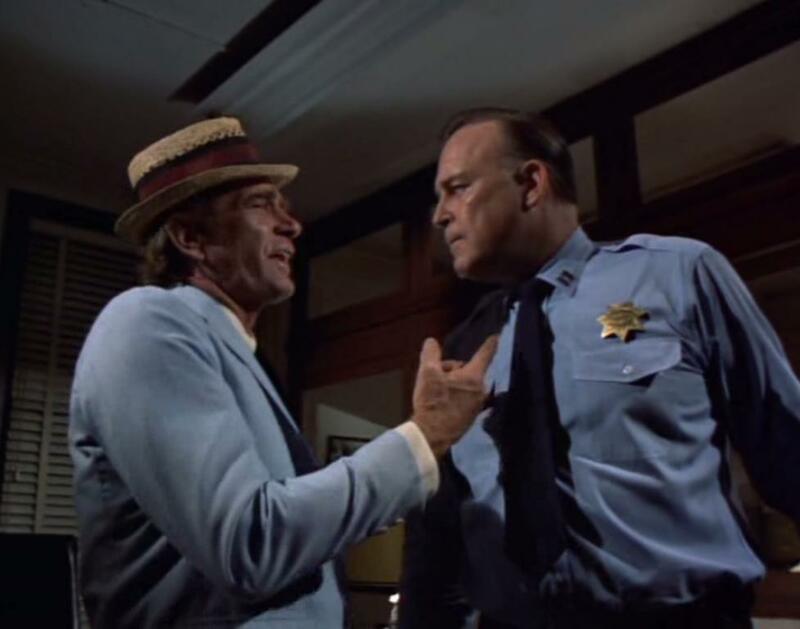 The Night Stalker is the original TV movie that first introduced the world to Carl Kolchak, an investigative journalist who hunts down the supernatural. The character went on to star in a sequel movie, The Night Stranger, and a short-lived series called Kolchak: the Night Stalker, which became the direct inspiration for big hits like The X-Files, as well as having a clear influence on many similar shows to come. There was even a failed remake of the TV series in 2005, titled simply The Night Stalker (2005). In this review series, I’ll be diving into each and every entry in the original Kolchak canon (and possibly even the remake) to find out what made this dark fantasy series so captivating – even while it remains mostly relegated to a cult favourite these days. So, should Kolchak come out of the shadows? Or does it belong in the dark? Here’s my review of the film that started it all. Investigative reporter, Carl Kolchak (Darren McGavin), has been fired from countless newspapers in the past for his difficult attitude, and is now working for a new publication in Las Vegas. He spends his days chasing the latest headlines and sparring with his very shout-y boss, Vincenzo (Simon Oakland). At the beginning of the film, we find Kolchak in a sleazy motel, narrating events (this framing device also ties into the end of the story). In his recollections, Kolchak finds himself hot on the heels of a series of grisly murders; young women are turning up dead on the Vegas strip. Their blood is drained from their bodies, and there are strange bite marks on their necks. As the evidence – and the corpses – pile up, Kolchak begins to suspect that the serial killer may just be a vampire. However, the real challenge may be convincing everyone else. This movie oozes low budget 1970s style. 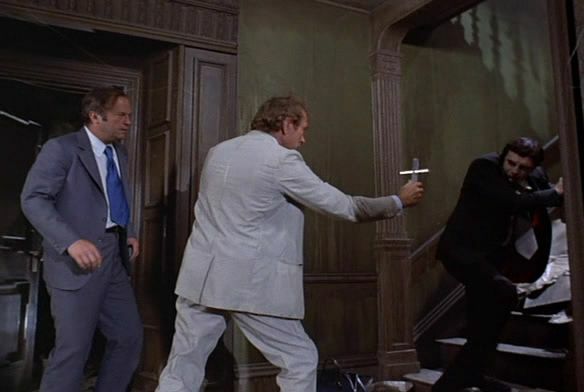 As the murders increase and the noose tightens around the killer, we see very little; there are no crazy supernatural stunts or magic tricks, just Kolchak and a very pale man with pointy teeth. And yet, it’s what the movie doesn’t show that makes it so effective. 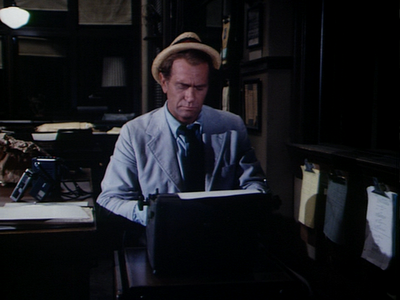 Rather than relying on flashy effects, it builds suspense with each clue, and because we’re privy to Kolchak’s thoughts, we’re along with him for the ride; we know little more than he knows, so we piece it together with him. Kolchak himself is an engaging enough hero, too; he’s crotchety and stubborn, but though he begins as a skeptic, when his girlfriend suggests a more supernatural explanation for the murders, he listens to the evidence and changes his view. The other characters are pretty forgettable, but as background dressing for Kolchak and the wider mystery, they fill their purpose. 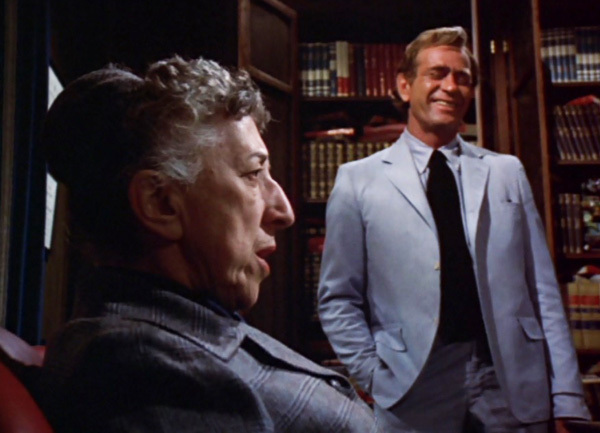 The final confrontation between Kolchak and the vampiric serial killer is tense but short. Actually, I found the aftermath a little more engaging, as the story took a twist that I didn’t necessarily expect. It also ends very resolutely, so you could easily conclude your Kolchak journey on this and feel satisfied. The Night Stalker is a slick, spooky crime film that balances the supernatural with its gritty 70s reality. Kolchak is the only character to leap off the screen, but the story is effective and creepy. This bodes well for the next installments! 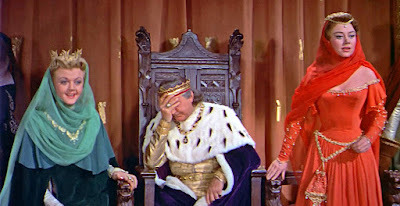 With “MARY POPPINS RETURNS” out now, I’ve decided to take a look back at another movie that contains two stars from the Mary Poppins canon – Glynis Johns from the original, and Angela Lansbury from the sequel; that movie is “THE COURT JESTER” from 1955. It takes a rare film to sit perfectly on that axis of great music, razor-sharp wit and so much fun you won’t stop smiling the whole way through. If it wasn’t clear already, I LOVE this one. A financial failure upon release, “The Court Jester” has nevertheless found its much-deserved cult following in later life. Today, I want to talk about this classic gem. The farcical plot kicks off with a little background; in medieval ‘England’ (the English accents come and go), the current royal family has been usurped and murdered – a pretender king (Cecil Parker) is on the throne. Only one member of the true bloodline survives, a baby with a purple pimpernel birthmark on his royal posterior! Said baby is currently being cared for by the rebel gang of the Robin Hood-esque figure, the Black Fox (Edward Ashley)! New to the group, carnival-performer Hubert Hawkins (Danny Kaye) longs to join the real fight. He gets his chance when he is assigned to take the precious infant to safety, accompanied by the Black Fox’s captain, the maid Jean (Glynis Johns). As a satire of traditional swashbucklers of the era, a lot of tropes are flipped on their heads in some very satisfying ways. We get a lovely few scenes showing Hawkins as the gentle, nurturing figure, singing to the baby, while Jean is the one who sets up their home for the night. She is also the one to take action when Giacomo, the new jester for the usurper king, stops for shelter on his way to the castle. She conks him on the head and sets up Hawkins as the new Giacomo, with the hopes of gaining access to the castle so the Black Fox can make an attack against the pretender king. Meanwhile, Jean is to continue her journey with the baby. Of course, because this is a farce, the usurper King is looking for the ‘fairest wenches in the land’ and scoops up Jean – hidden baby and all – and brings her to the castle as well. Now Hawkins and Jean need to try to get the baby somewhere safe and arrange the Black Fox’s attack. 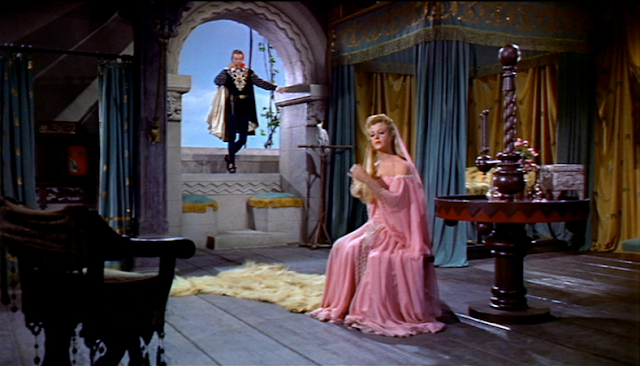 Add to that a political alliance that the King is trying to orchestrate by marrying off his daughter, the defiant princess Gwendolyn (Angela Lansbury); her maid Griselda (Mildred Natwick) has been filling her head with stories of dashing heroes and romance – and if she doesn’t save Gwendolyn from this marriage and fulfill her fantasies, the princess will kill her. Hawkins, the handsome stranger in the court, seems like the perfect candidate to make all this happen. AND on top of everything else, we have the conniving Ravenhurst (Basil Rathbone) who is also trying to tear apart the alliance, and who had hired the real Giacomo as an undercover assassin to murder his rivals at the court. Let’s just hope that Hawkins can keep his head long enough to tie all these threads together! “The Court Jester” is one of those perfect potions for when you’re feeling blue. The film is not always belly-laugh funny, and it’s not always supposed to be; the humour mostly comes from the wordplay – which spawned iconic phrases like ‘Get it? – Got it – Good!’ and the whole exchange about the pellet with the poison (possibly minor spoilers). 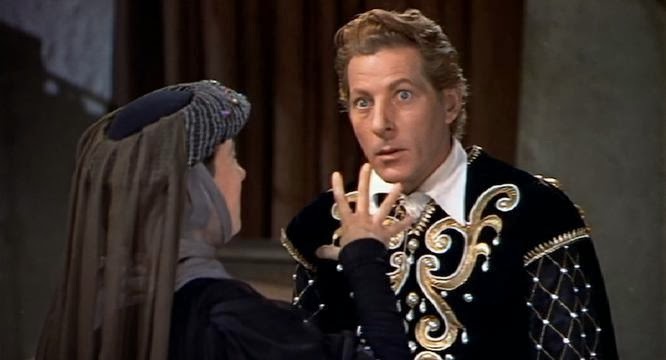 The excellent wordplay is further supplemented by some clever slapstick and plenty of catchy songs (which were co-written by Danny Kaye’s wife, Sylvia Fine). A particular favourite of mine is the song from the opening credits; it sounds at first like a normal diddy, then becomes increasingly meta. I touched on it before, but this film really is quite progressive for its time, in a brilliantly subtle kind of way. Most of this is actually around the male lead, Hawkins; sure, he is presented as a ‘fool’ and does plenty of physical gags, but he’s not actually a moron. He is a kind, gentle figure, caring for the baby and acting as the entertainer for the gang of rebels. While Hawkins gets to swashbuckle around throughout the film, he is never shamed for being a gentler soul – in fact, is praised for it – and I love that. I love that he is a masculine hero that gets to fight and save the day, but does so without being an overly-aggressive emotional vampire. If I had to criticise anything at all from the film, a couple of the bits and songs go on a little longer than they really need to. For example, there is a scene where Hawkins is dressed as an old man and Jean is playing his deaf-mute daughter. Although it ends with a good punchline, it could have been trimmed with no detriment to the film. 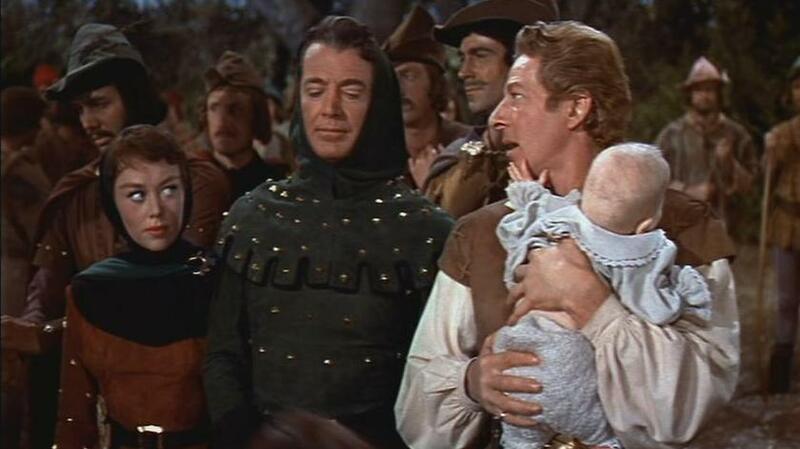 “The Court Jester” is a super fun, feel-good movie; it’s the kind of thing to put on whenever you’re feeling a little blue and want some light, yet clever, escapism. It may seem like a cliche, but this really is a perfect film for the whole family. It has adventure, music, jokes – and, frankly, it looks gorgeous! Is it 100% perfect? Maybe not quite. But I love it to pieces. Besides, it was selected for preservation by the United States National Film Registry; that’s got to mean something, right? I’ve decided not to subject myself to the new “HOLMES AND WATSON” – so instead, I’m looking back at a much better Will Ferrell movie – “STRANGER THAN FICTION”. Let me say upfront that I’m not exactly Will Ferrell’s biggest fan. I don’t hate the guy or anything; I’m sure he’s nice, and I don’t think he’s a bad actor. I found him pretty funny back in his SNL days, but other than that, I could count on one hand the amount of movies I’ve enjoyed with him. “Stranger Than Fiction” is one of those movies. It shows off more of Will Ferrell’s range than anything before or since, and I happen to think it’s quite underrated. “Stranger Than Fiction” tells the story of a man called Harold Crick, an IRS agent who follows strict routines in his daily life and never does anything new. His life begins to change one day when he starts to hear the voice of a narrator in his head – a strange woman who describes how he’s thinking, feeling, and even what he’s doing. We soon find out that Harold is a fictional character in an author’s story. The problem is, this author is known for killing off all her protagonists – and if Harold doesn’t do something, he’s going to be next. We start by following Harold Crick as he lives his life. We get some narration, which Harold starts hearing too. This, understandably, freaks him out a little…especially when it predicts his death. No one understands or believes that this is real – which…fair enough. Even we can’t be sure it’s real at first. Dude works at the IRS – that can’t be fun. I mean, if I had to work in taxes, my brain would turn into scrambled eggs as well. But there is one guy who believes him – a literature professor who encourages Harold to seek out the author before she kills him off. This professor dude is like every professor I always dreamed of having. He’s pretty weird and just kind of down for everything. Also, his office is basically made of books and I want to lock myself in there and never come out. While Harold is trying to find his narrator, he has to audit a radical anti-authoritarian baker. She’s hip and has a tattoo sleeve, and she doesn’t pay taxes. Her name is Ana, and she is basically Harold’s opposite in every way. It feels like this might be really forced, but they actually have quite a sweet relationship when it gets going. They start off clashing in a very believable and understandable way, especially because Harold himself is kinda creepy towards her at first. You realise that he’s never really experienced these feelings before – she’s new and exciting, and you kind of understand that, because through his animosity, then friendship, then romance with her, Harold begins to see what’s been missing in his life all this time. So this film is not a regular Will Ferrell comedy. I’d describe it best as a tender drama with some lightly comedic moments. Most of the heart comes from the gentle interactions between characters; it’s one of those movies that makes you feel kind of wistful the whole way through, even if you’re not sure why. It balances a lot of the more humourous moments and strange situations with plenty of bittersweet coating. 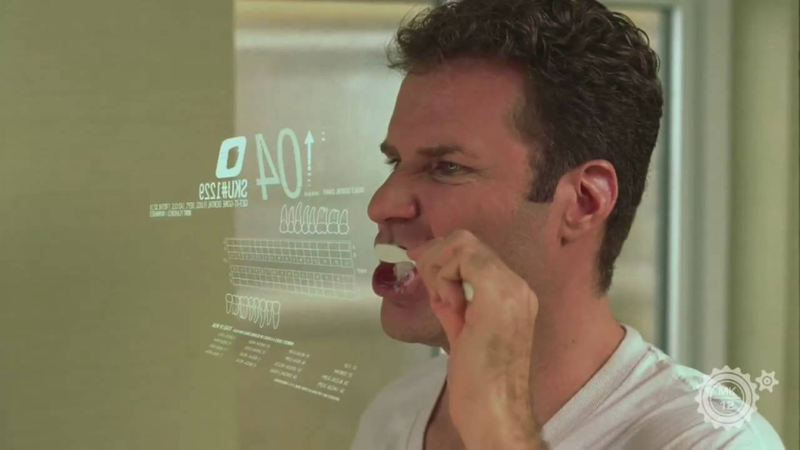 “Stranger Than Fiction” manages to make me feel hopeful for the future, and also painfully existential. Harold is a man who has spent his whole life being insignificant. But he’s not insignificant because he hasn’t become famous or discovered anything; Harold is insignificant because he never takes risks, he never grows, changes – no one loves him and he loves no one. I think we all fear becoming this at some point, or that we are this already. The film holds that mirror to us, but reminds us that hope is never lost; it is never, ever to late to start living your life for everything it’s worth. I’ve heard the film described as like diet-Charlie Kaufman, which I think is fair to an extent. The fact that these weird things going on – like the fact that Harold is a fictional character from a novel – is just sort of something to be accepted. We never find out why or how this has happened or whether it’s happened before, but we do get hints of other characters who seem to be a part of Harold’s story; are they self-aware too? Who knows! But it doesn’t really matter, I guess. “Stranger Than Fiction” keeps the surrealism minimal in order to reach a more universal appeal and forge its own identity – and yet, it doesn’t feel like anything has been sacrificed here. It is a simple, tender story that knows what it is and what it wants to say. “Stranger Than Fiction” is the perfect rainy-day date movie. It’s funny and sad, charming, sentimental and existential. It’ll make you sigh and smile, and – ultimately – you’ll find yourself coming back to it more and more.